Have a couple MG’s I’m toying with the idea of trading up for something else. 2 for 1? 3 for 1? Let me know what you have, what you are thinking. I’d look at M16’s, colt m16a1’s, HK sears, M60 beltfed, heck just about anything. I have other items to trade, can add cash. Or you might have to add, depending on what you have. Worst case I can say no. 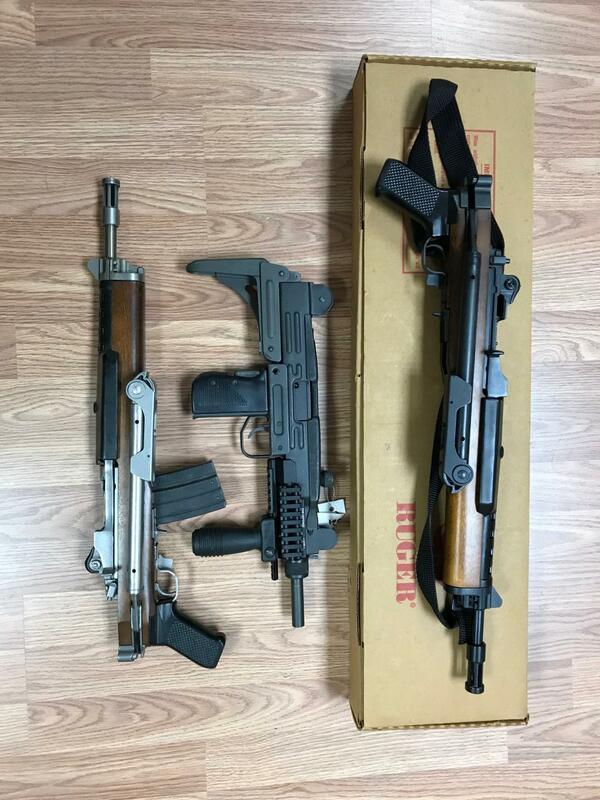 These guns are on my books here in central Pa, so can arrange a meeting if you’d like to come look. Have many references for many $10k+ deals, efile(well the gov shut down is putting a damper on that). 1. Ruger KAC556F-very clean ruger, engage your inner A-team, side folder 5.56 in SS. 2. Vector Uzi- nice little subgun, very useful, parts are easy to find, conversion kits, mags, all easy to find. 3. Ruger AC556F-nice blued gun, side folder. Came out of a three gun collection, the owner had two Rugers, one was his shooter, this one was his safe queen. Comes with the factory ruger box, paperwork as it did when new. Had a couple of offers, still looking. Can add more for the right gun. Also interested in semis, parts kits, mini parts, ammo? Have two other Uzis if that was more your style. Four or five for one? Whattca got for trade? Traded one of the Uzis. I have other semi hosts, couple of HK94’s cut down to MP5’s, etc.